Deciding to use a feeding tube for a loved one in the advanced stages of dementia is difficult and complicated; here are the criticisms against them. As dementia progresses, eating and drinking becomes more and more challenging for the patient. While there are many techniques for helping people with dementia to eat, families sometimes have to decide whether or not to use a feeding tube for their loved ones with late-stage dementia. 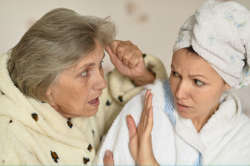 This is a complex, difficult and controversial decision, and one that should be made carefully for your loved one's unique situation with the help of doctors. A recent review published in The Cochrane Database of Systematic Reviews found that there is no scientific evidence supporting the use of tube feeding for people with advanced dementia. Some studies show that tube feeding in this population may actually increase mortality and suffering. Tube feeding often appears to be a compassionate choice, as families frequently worry that their loved ones will suffer from hunger and thirst when they stop eating. In advanced dementia, however, the body sometimes seems to lose its ability to adequately metabolize food. At this point, the patient benefits most from pain medicine and sips of water. Dr. Elizabeth Sampson, the study's lead author, cautions that tube feeding may be an appropriate choice for some patients. Families should be able to consider all of the evidence for and against tube feeding when they make their decisions. 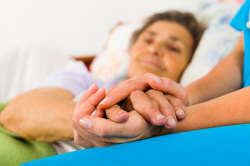 The Alzheimer's Association and many other experts support the use of palliative care and a hospice approach for patients with late-stage dementia. Feeding tubes are typically considered to be a more aggressive medical intervention at this stage, and they may serve to prolong suffering. 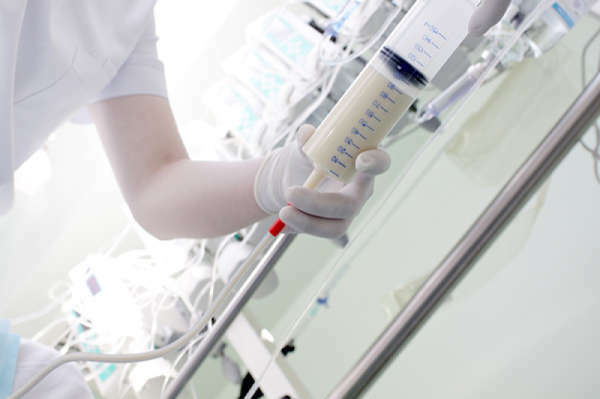 Potential complications related to feeding tubes include the pain associated with insertion, necessary sedation and restraint, infection and aspiration pneumonia. Dr. Stephen Post, a professor of bioethics, explains that ceasing to eat and drink is a natural part of the dying process as the body shuts itself down. Until that point, Dr. Post recommends assisted oral feeding. He encourages loved ones to stop by the nursing home once a day to do assisted oral feeding for half an hour. It is an opportunity for emotional connectedness and personal contact. Even in the advanced stages, Alzheimer's patients in particular enjoy sweets and can take pleasure in milkshakes, ice cream or yogurt. 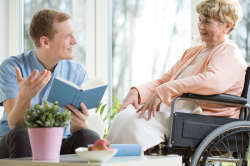 Before families reach the stage of needing to decide whether to use feeding tubes, they face other challenges in making sure that their loved one with dementia receives adequate nutrition. People with dementia tend to become less active and need less food, but sometimes they also forget to eat or no longer have an appetite. 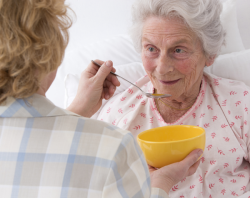 To help your loved one eat, be sure to allot sufficient time for eating. You can also try serving foods that are easy to eat. If swallowing is difficult, serve soft foods that can be easily chewed and swallowed, and add thickeners to liquids to make them easier to swallow. If using utensils is challenging, offer finger foods like chicken nuggets and soft fruits. Try to make mealtime an enjoyable, social time by eating together. In some cases, feeding tubes can help people with advanced dementia. Before you decide, be sure to gather all the information you need.